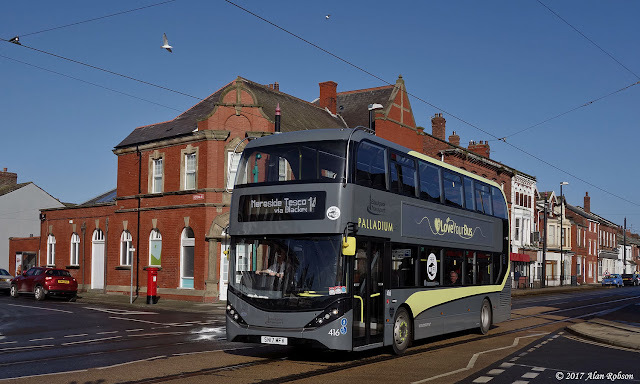 More of the 2017 order of Alexander Dennis Enviro 400 City buses are entering service every few days in Blackpool. 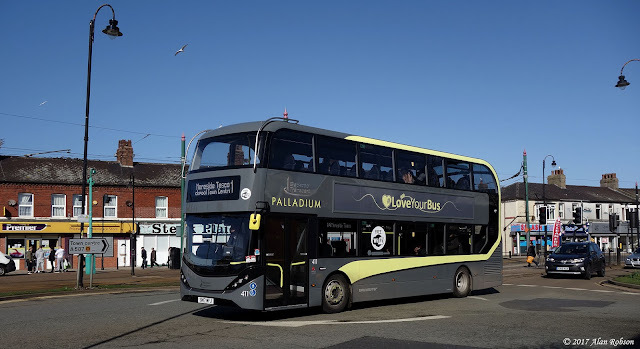 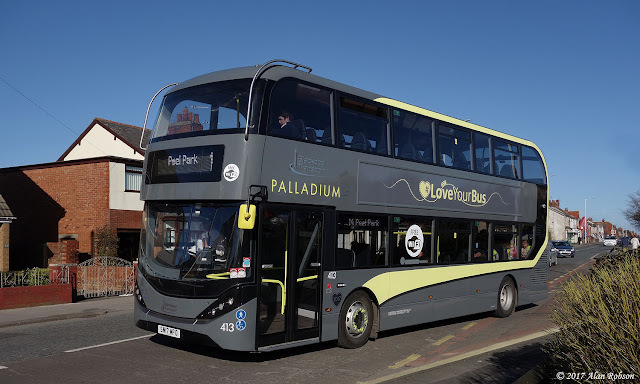 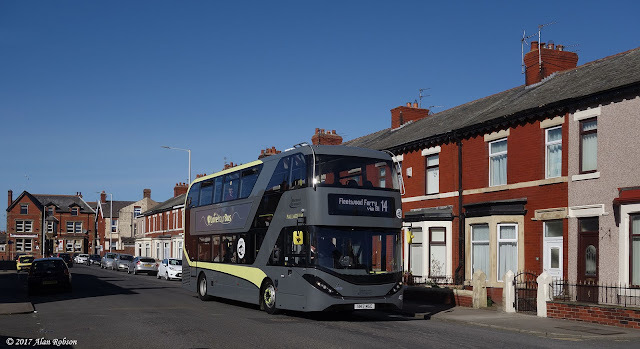 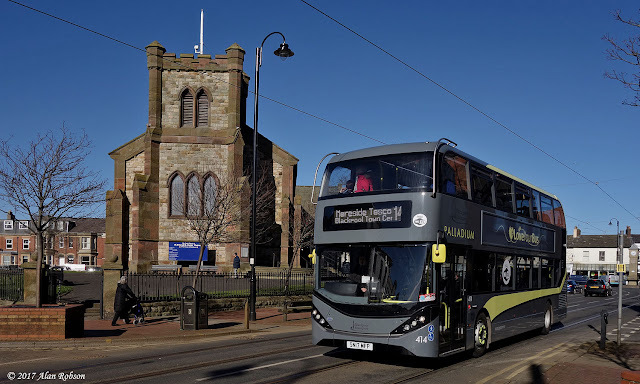 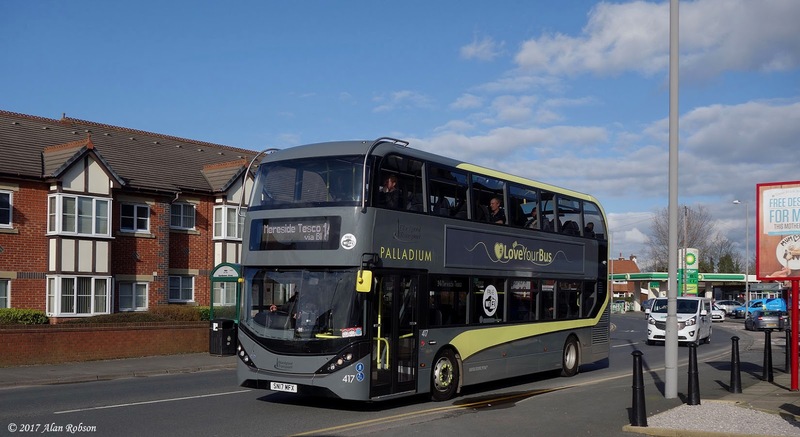 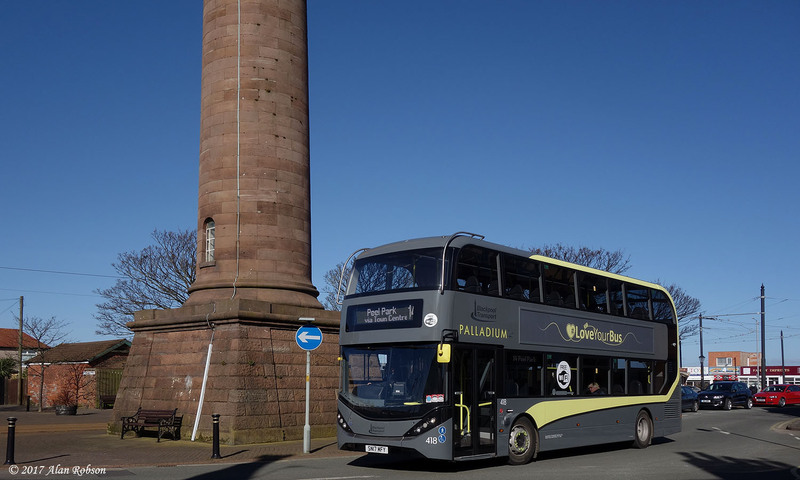 Here is a selection of photos taken over the last week of the latest ADL Enviros in use on their intended home route, the service 14 from Fleetwood to Peel Park, with buses photographed so far being 411 to 414, 416 to 418 and 420. 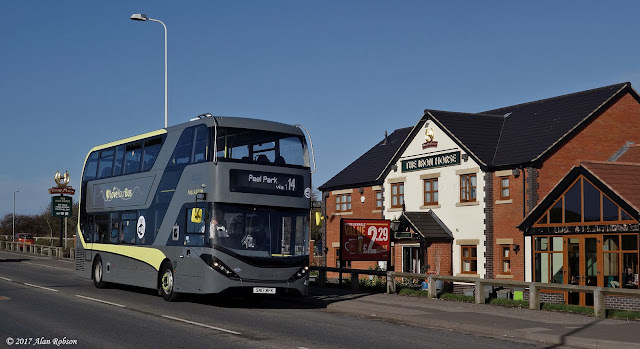 Some of the 2016 batch of Enviro 400 buses have also been noted in use on the 14 this week.